The early planners of the New York City subway negotiated that very first route through some of the city's mostly heavily populated areas, those obviously in need of rapid transit. The locations of the first underground stations were based on the amount of available space at key cross streets. If you happened to own property along the route and specifically near a planned station, you would have hit the proverbial jackpot in 1904, the year the subway opened. And so begins the tale of the Subway Tavern, at the corner of Bleecker and Mulberry, which tried to monopolize on this lottery of suddenly-valuable real estate with the worst idea in the history of New York City nightlife -- a moral tavern. 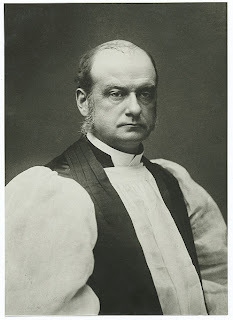 Like all religious leaders, the Bishop Henry Codman Potter of the Episcopal Diocese of New York was gravely concerned with the evils of alcohol upon the poorest classes and the newest arrivals from Ellis Island. Most of the temperance stripe preferred to hit areas most soaked in booze -- particularly the Bowery -- with bibles in hand and moral example on display. Often to no avail and to the occasional danger to the proselytizers themselves. Potter (pictured below), a rector at Grace Church, thought outside the box. His own ideas for social reform were radical for the time but some (like daycare in churches) seem standard and even obvious today. Although he lived rather luxuriously -- his stately home at 89th and Riverside Drive is still standing -- he made a point, even after his ascension to bishop, to work regularly in poor neighborhoods. He was often a voice for labor groups and consistently berated Tammany Hall for its abuses. Nobody could say the man's heart was not in the right place. Which made it all the more shocking when he decided one day that the Episcopal Church should open a tavern. Since it seemed unlikely that people would stop drinking entirely, went his theory, why not found an establishment where proper and gentlemanly drinking would be encouraged? A place where the staff could monitor and guide patrons to more responsible imbibing. Potter found the perfect location, a former saloon owned by future Fire Commissioner Joseph 'Oak' Johnson, at the corner of Bleecker and Mulberry streets and sitting right in front of a new subway entrance. Although the trains would not run for another few months, the new experiment was dubbed the Subway Tavern. Potter christened the new tavern on August 2, 1904, opened with $10,000 in funds from distinguished citizens, including money from U.S. representative Herbert Parsons and former lacrosse star Elgin Gould. In case anybody was unclear of the intentions of the unusual establishment, a holy doxology was performed to an enrapt, standing-room-only audience. The Subway Tavern was to operate like a respectable upper-class club, except for poorer folks. "I belong to many clubs which I can go," remarked the bishop, "but where can the toiler go?" Where, indeed! Potter honestly believed the Subway Tavern could be jovial and free-spirited without becoming debaucherous. The front room, adored with a sign 'To The Water Wagon' playfully overhead, would be open to both sexes "with a 'sanitary' soda water fountain where beer will be served to women." [source] Men would have a private room behind some swinging saloon doors in the back. As the bar was funded by donations, the 'evils' of profit were eliminated. And thus, reasoned Potter, bartenders would not encourage patrons to drink. Men and women could come to converse, read a newspaper and have one -- maybe two -- drinks. Employees were to closely watch the intoxication levels of customers; if one even looked tipsy -- if say, somebody appeared to be enjoying their drink a wee too much -- they would be cut off. Healthy food would also be on hand downstairs to soak up any amoral toxins in the belly. As the New York Times lightly mocked, "The benevolent bartenders ... are anguished when they are compelled to serve whisky, and ... dimple with joy when sarsaparilla pop is ordered." Another preacher called it a "low down, greasy Bowery saloon." Shocked clergy flocked from other cities to gander at this oddity and register their opinion to the press. "I do not think it will turn the tide of drunkenness," said one stunned clergyman, "nor will it solve or diminish the curse of rum." The naysayers were right. The Subway Tavern turned out to be a horribly ill-conceived idea, and its flaws were magnified several months after the subway opened in October 1904. 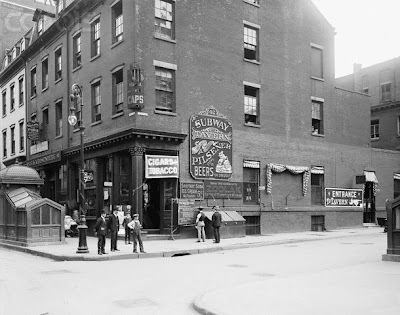 When a reporter for the Advance visited the pub in September 1905, they found the exterior covered in 'tattered', 'stained' advertisements, a main barroom empty and most surfaces covered in flies. Presumably, patrons quickly grew tired of being stately. As the Advance so plainly stated, "The liquor sold at the Subway does not make men sober. There is no method by which a young man learning the drink habit may not go elsewhere to complete his ruin." 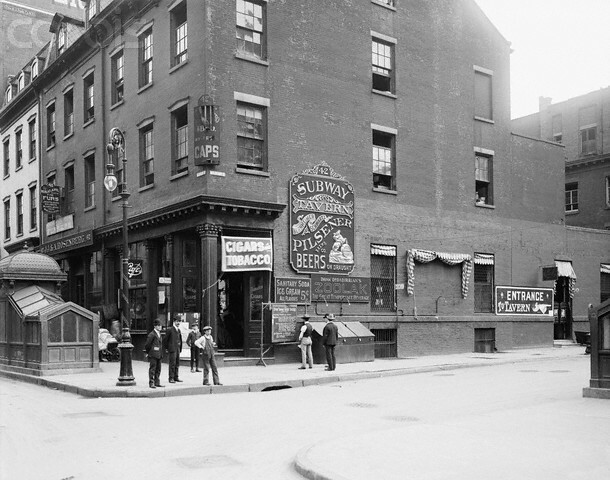 Within days of the Advance's visit to the Subway Tavern, the holy drinking establishment closed up and reopened as a no-pretenses 'out and out saloon'. Bishop Potter died just a few years later with a mostly unblemished record. Many years later, the structure that once housed the Subway Tavern was ingraciously replaced with this building.